See the big 3 highlights of Tasmania in just 3 days! 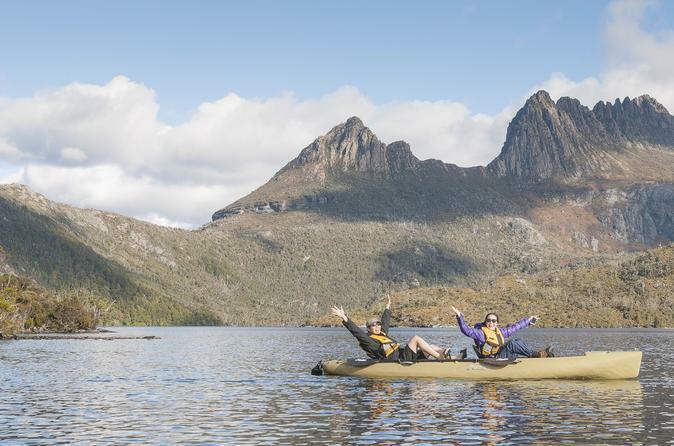 This combination allows you to see the very best of Tasmania in 3 action-packed days. Experience all the best highlights, short walks, wildlife, world famous destinations and a few very special off-the-beaten-track stops too! Book your own accommodation of choice to suit your budget and style. 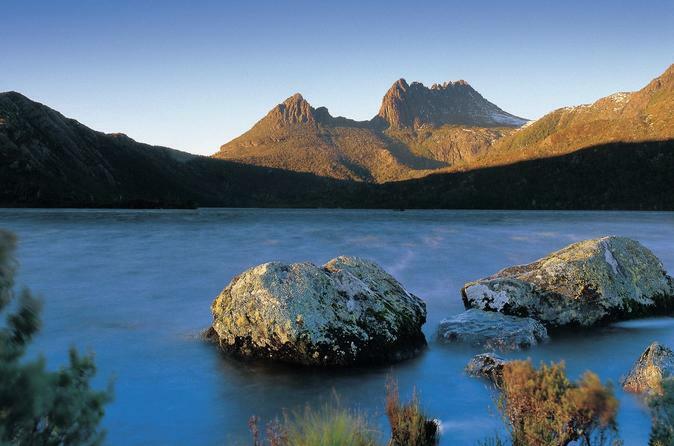 Cradle Mountain is a not to be missed highlight when visiting Launceston, Tasmania. Discover this amazing wilderness area as you enjoy 5-hours exploring the Cradle Mountain day walking area, with a variety of short and longer walking options. 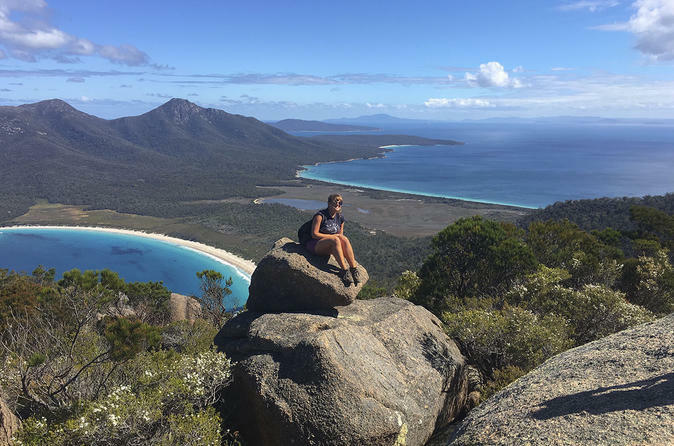 See beautiful Dove Lake, climb to a lofty peak for amazing views, discover the local wombats and the natural history of this World Heritage environment. 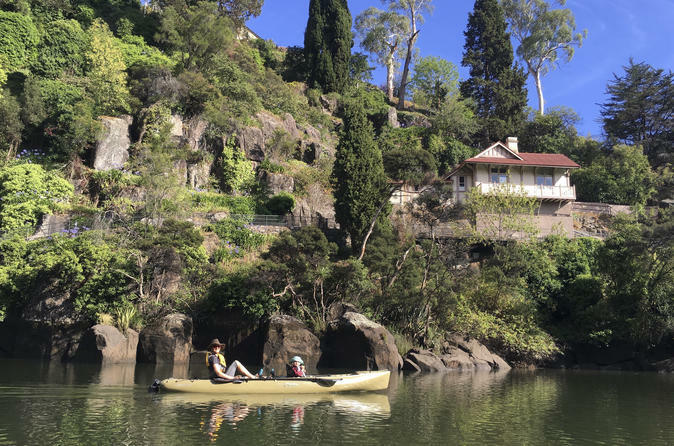 Discover Tasmania’s east coast on a 4-day tour that takes you from Launceston to Freycinet National Park and Port Arthur, before exploring the capital city of Hobart. Along the way, stop at a famously beautiful beach at Wineglass Bay, visit classic colonial towns, meet Tasmanian devils and tour the World Heritage-listed Port Arthur Historic Site, where you can join an optional Ghost Tour. Relax in comfortable accommodations with breakfasts included and enjoy personal attention from your guide on this small-group tour, limited to 20 people. 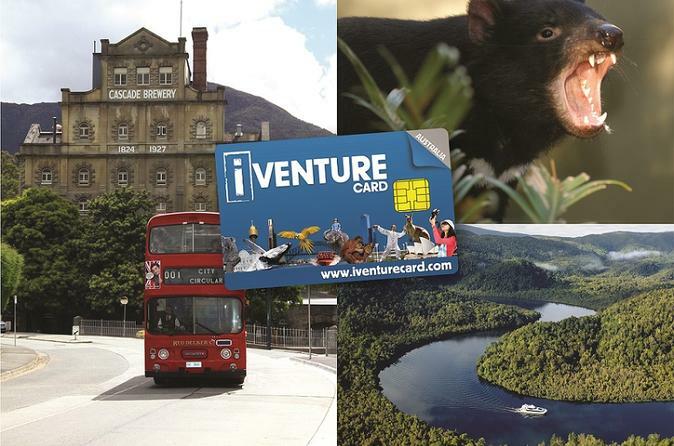 See Tasmania and beyond with a See Tasmania Card or Five in One Attraction Pass. It's the smart travel companion for every visitor to Tasmania. 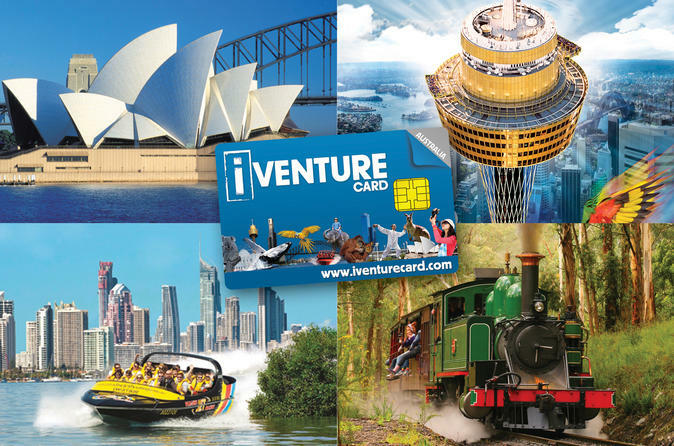 You can choose between a three or seven consecutive day See Tasmania Card that will give you access to over 40 of Tasmania's top attractions. Alternatively there is the option of a Three, Five or Seven in One Attraction Pass which allows you to visit the designated amount of Tasmania's top 20 attractions over a 3 month period. 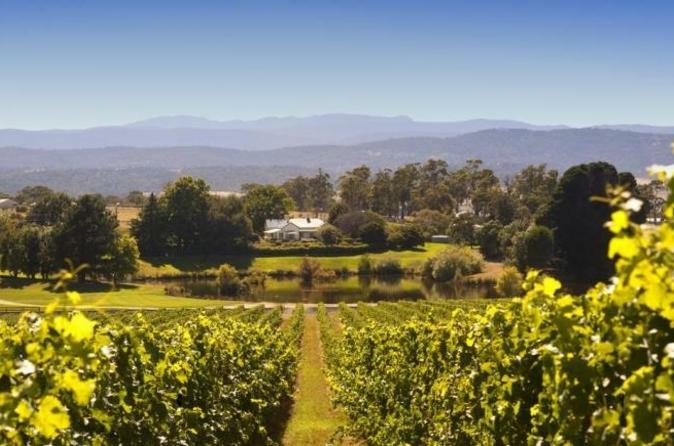 Enjoy a winery tour, tasting and lunch at Josef Chromy Wines, a state-of-the-art winery located near Launceston. Surrounded by beautiful landscaped gardens and vineyards, the winery offers a range of cool-climate wines, delicious food and warm service. Start by walking in the vineyard and learning about the estate's high-tech winemaking process. Sip some samples served by a friendly wine expert then head to a 2-course lunch paired with wine. It’s the perfect way to explore Tasmanian wine country. 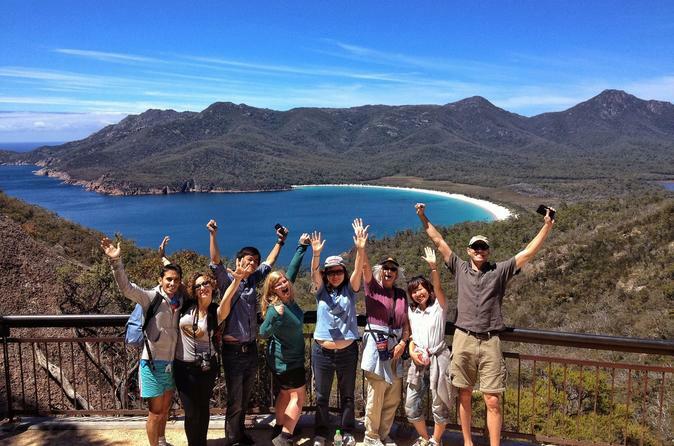 An action packed tour day from Launceston to Hobart via the world famous Wineglass Bay and the East Coast. Depart Launceston ready for an adventurous day out exploring the delights and highlights of the East Coast before finishing the day in Hobart. A free pickup and drop-off service is offered from all hotels located in Launceston central city. This tour includes all National Park entry fee's and a friendly and professional guide. 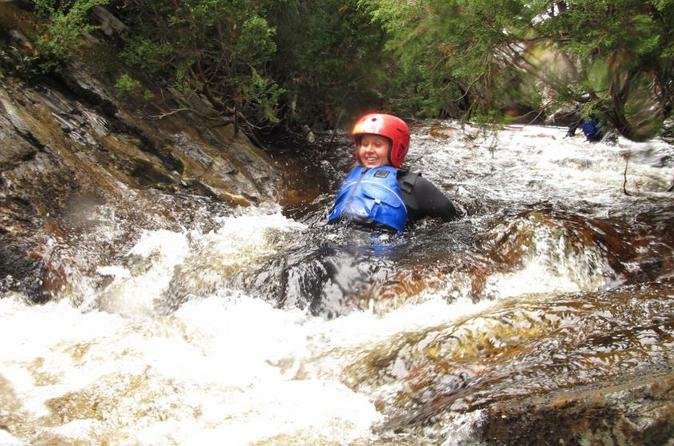 Enjoy an action packed day of canyoning in Tasmania's wilderness world heritage area of Cradle Mountain. With no experience required, this full day tour is for all travelers looking for an adventurous and challenging day out. 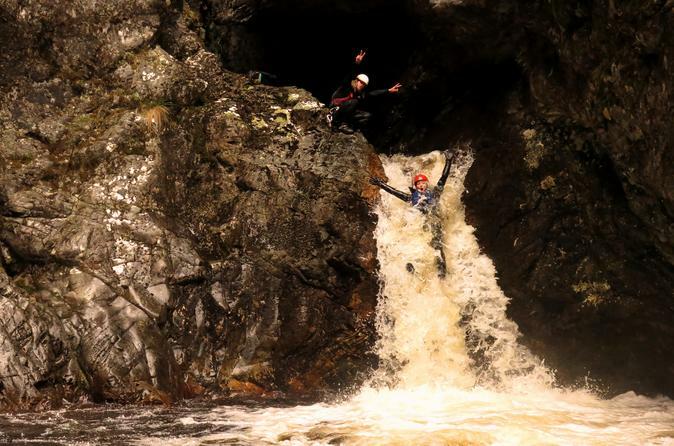 Experience abseiling into the canyon, freestyle falls and jumps of seven yards into the deep pool below. Continue through the canyon, encountering five more waterfalls before visiting the Laundry Shoot a ten meter high natural waterslide that spits canyoners out from a cave into a big open pool. 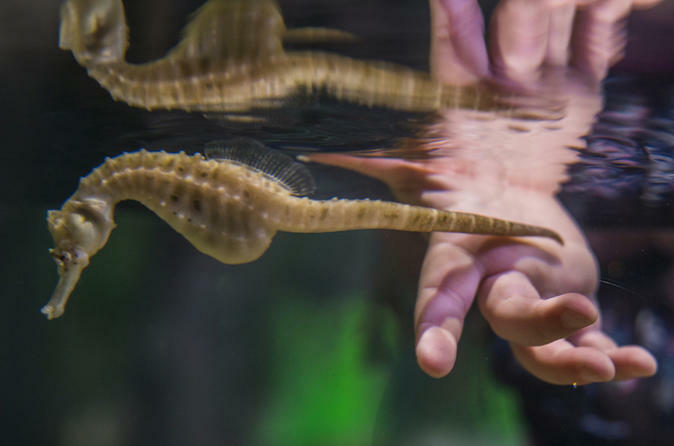 Visit Seahorse World on Tasmania's northern coast for a 45-minute guided tour of this aquarium outside Launceston. Enjoy an informative experience as you explore three exhibits: the Cave of the Seahorse, a high-tech working seahorse farm, and the Southern Ocean Aquarium, home to marine life of the wild southern seas like weedy seadragons, sharks, giant cuttlefish, a Tasmanian giant crab, and a touch pool for kids. Select a tour time when booking. 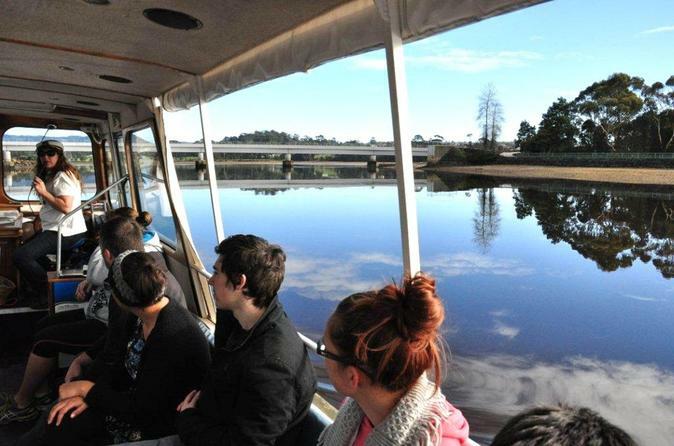 Come aboard and enjoy the Leven River and its surrounds, among the abundant bird life, try to spot the Sea Eagles, Azure King Fisher and if your lucky enough you may spot the elusive Platypus in its natural environment. Disembark 8-kilometers upstream at historic Leven Park for a break to enjoy your picnic and stroll through the beautiful forest reserve. On the return there is more tales true and tall to enjoy as you cruise to the river mouth to enjoy the foreshore of the Leven River Estuary. In three adventurous days, we visit some amazing temperate rainforests, wonderful waterfalls and world class beaches. 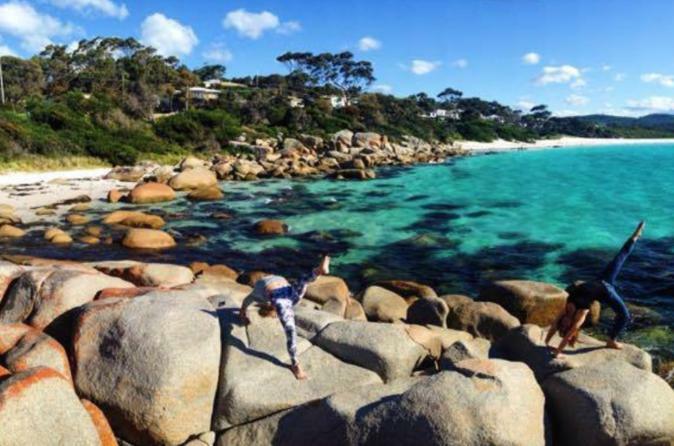 Starting from Launceston we make our way to the Bay of Fires to explore some stunning scenery. 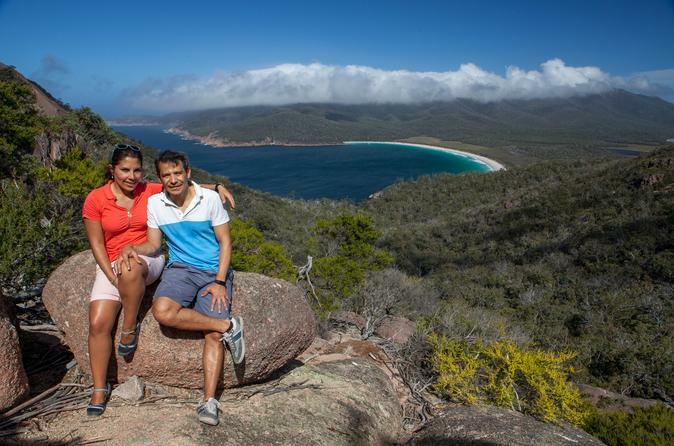 A full day is reserved for exploring Freycinet Peninsula’s longer walks where we’ll climb up through the Hazards to view magical Wineglass Bay or walk the whole circuit. Take a short guided tour of the scenic Tamar river on pedal powered canoes. The unique Mirage drive foot powered flippers let your legs do all the hard work while your hands are free to steer and take photos. 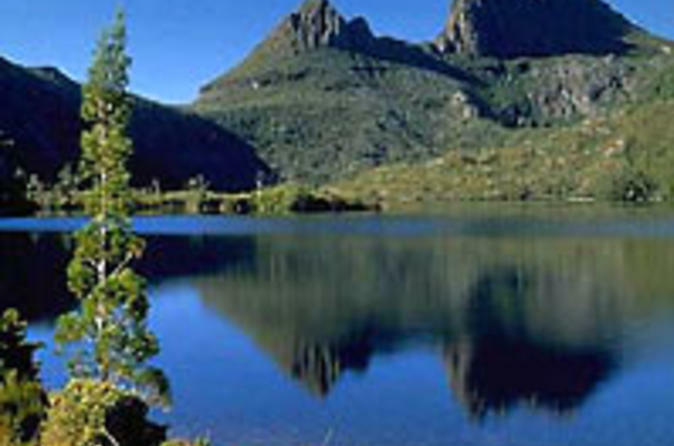 Departing and returning to Launceston the Cradle Mountain National Park day tour allows you to experience the region on a fully inclusive, professionally guided tour for all ages. Float and walk through a beautiful section of river and see the world from the point of view of a platypus. The Lost World Canyon offers a truly unique way to experience Tasmania’s Wilderness World Heritage Area. This tour is all about getting up close and personal with nature. Available to participants aged eight and up, it is not aimed at the adrenaline junkie, but some jump rocks up to three metres high and other challenges spice things up. Some of the highlights include seeing 1000-year old pencil pine trees and hearing the story of James ‘Philosopher’ Smith – the legendary first canyoner at Cradle Mountain. 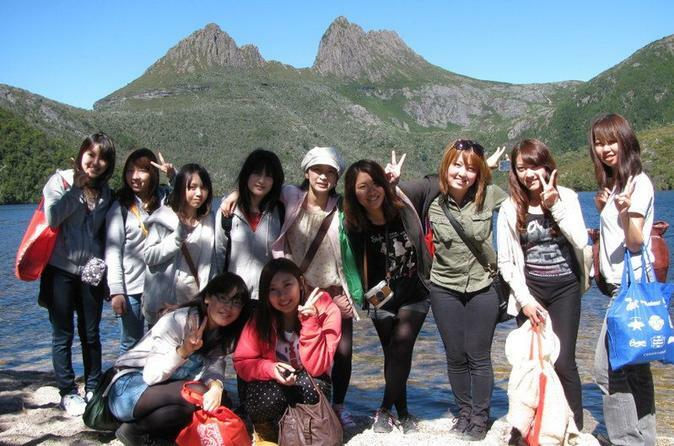 Want to discover the best of the famous Cradle Mountain? Over 2-days, this small group tour will explore the park by foot with an option for many other activities such a canoeing on the lake or canyoning the spectacular rivers in the park, or simply watching the wildlife. To complete the experience, camp in comfortable canvas tents at a nearby property where you can enjoy a camp fire in the evening, cook a hearty meal and get ready for more adventure and exploring the next day. 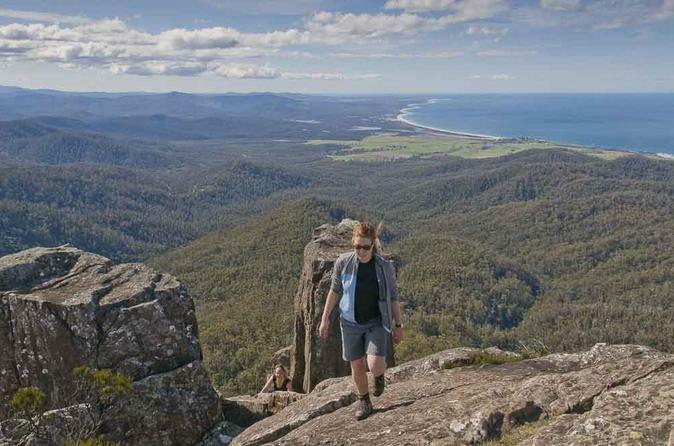 Over 5 days experience the amazing variety of Tasmania exploring the scenic, sunny east coast. 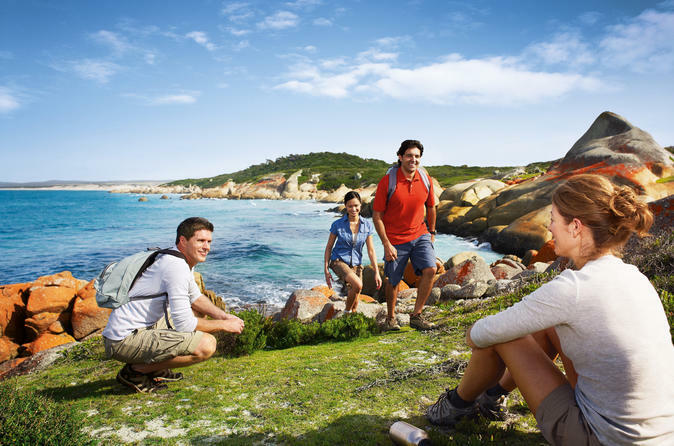 Visit the must see places including Wineglass Bay, the Freycinet Peninsula and the Bay of Fires as well some local secrets along the way. You'll camp in comfortable canvas tents, there are some amazing walks included and there are plenty of opportunities for close encounters with the wildlife.